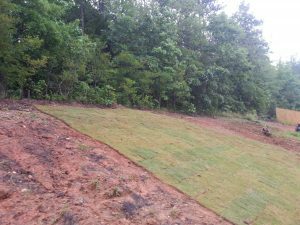 Installing new sod on a Slope in Auburn, AL. 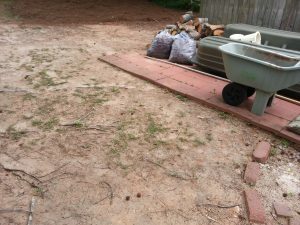 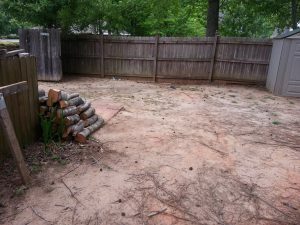 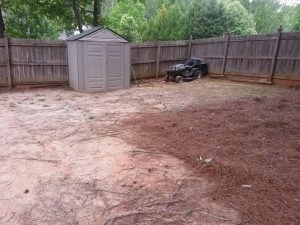 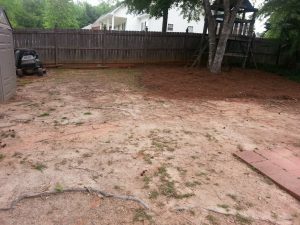 Before pictures of a total grass install in Opelika. 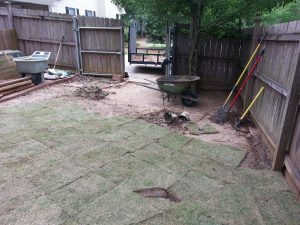 Dalmatian lawn and landscape brought in topsoil and prepared the soil before installing the sod. 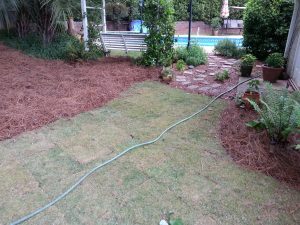 After the new sod was installed we brought back life to the natural beds by adding fresh long leaf pinestraw. 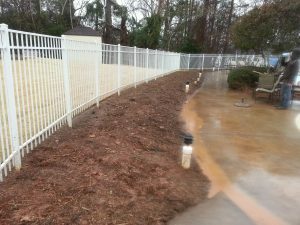 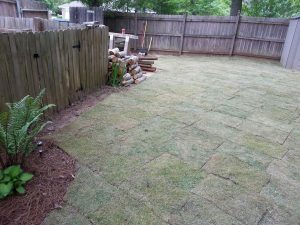 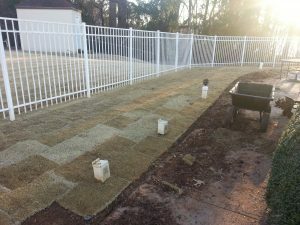 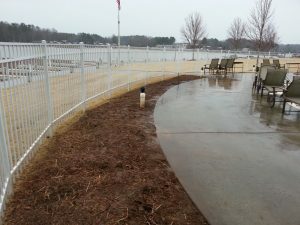 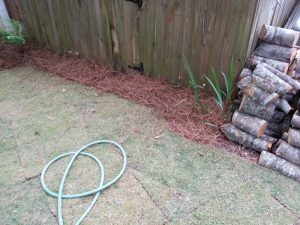 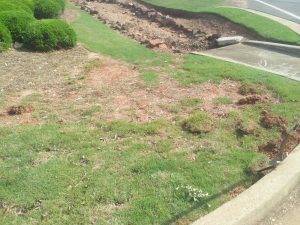 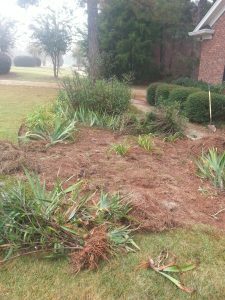 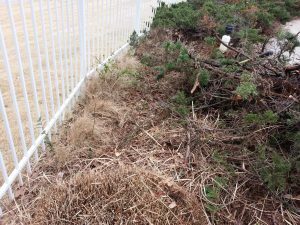 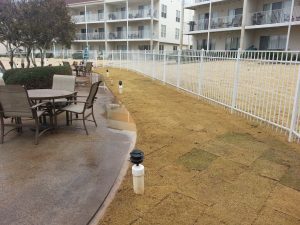 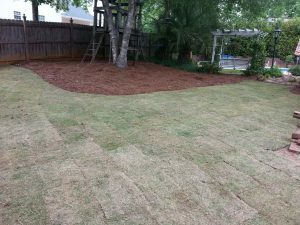 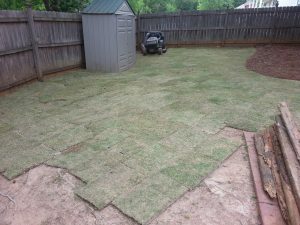 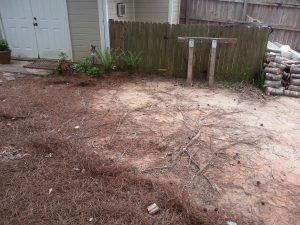 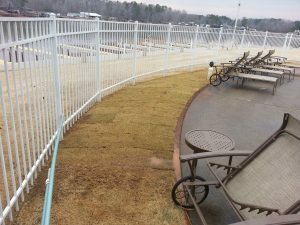 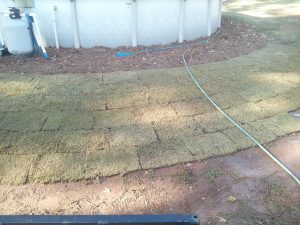 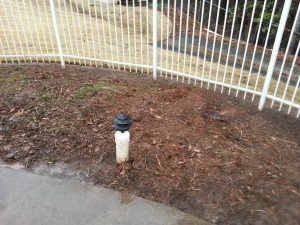 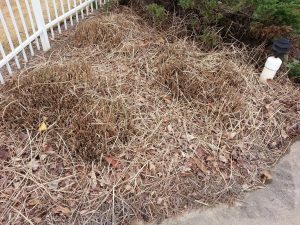 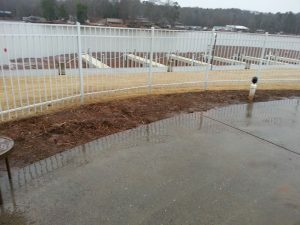 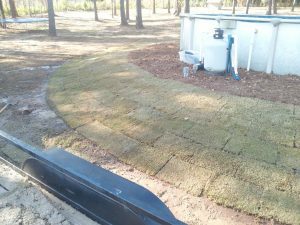 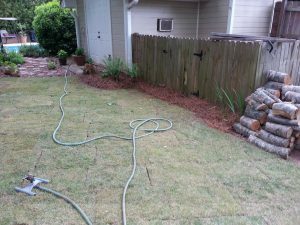 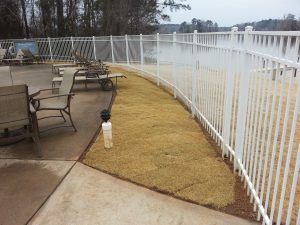 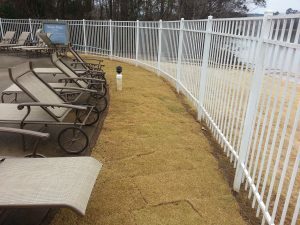 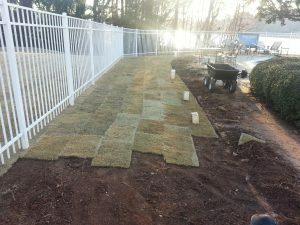 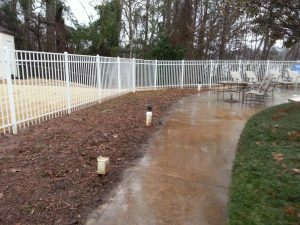 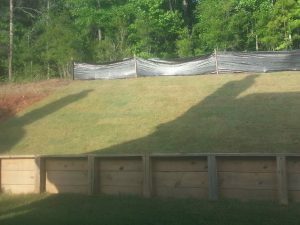 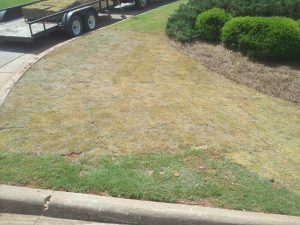 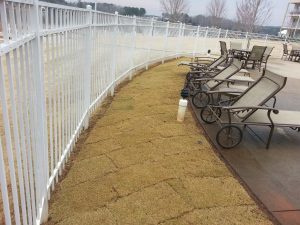 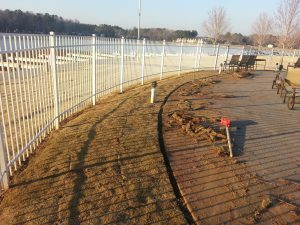 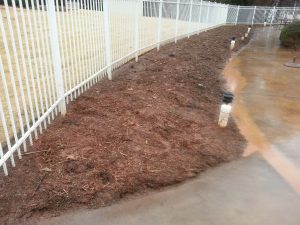 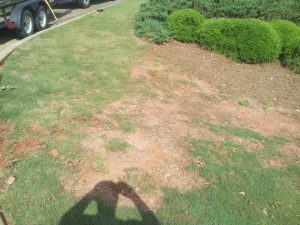 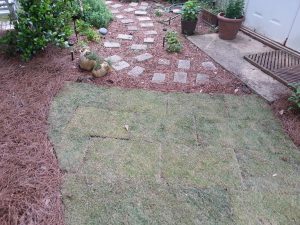 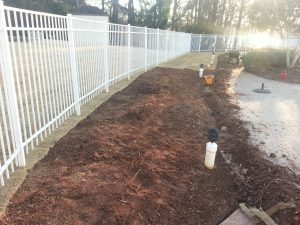 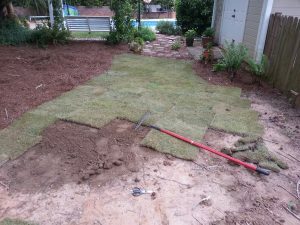 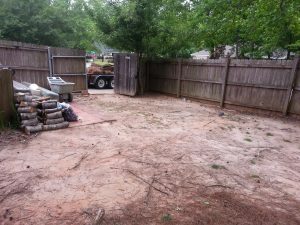 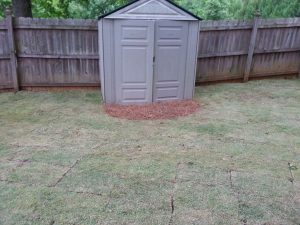 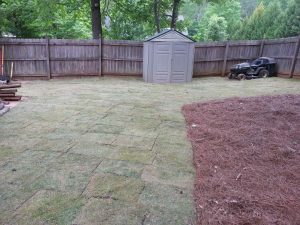 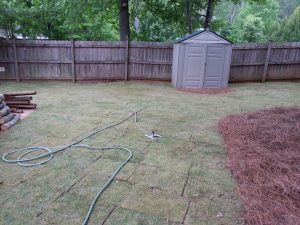 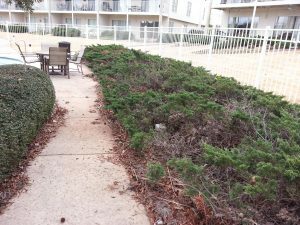 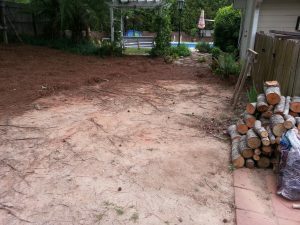 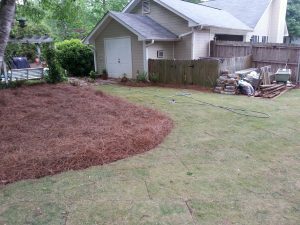 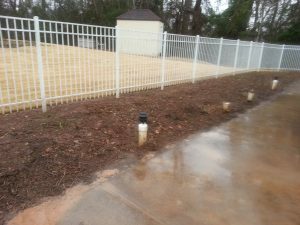 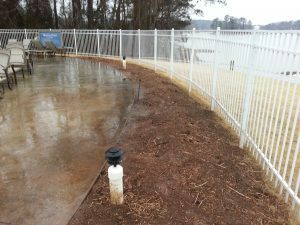 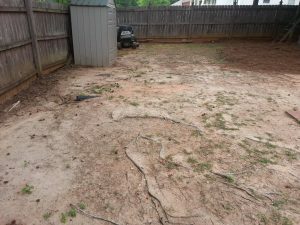 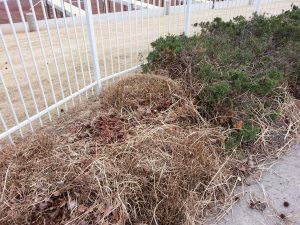 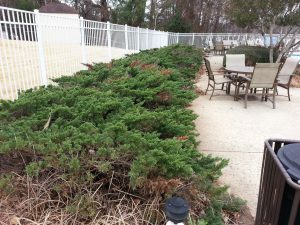 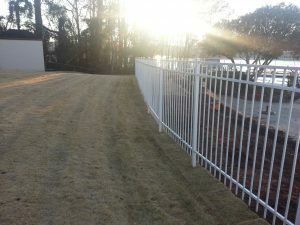 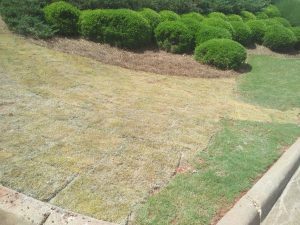 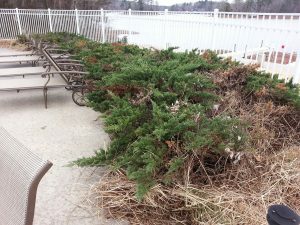 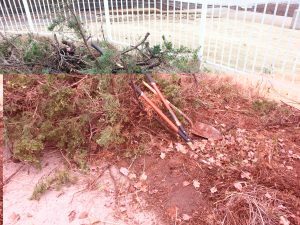 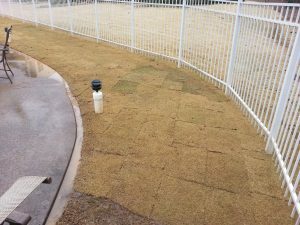 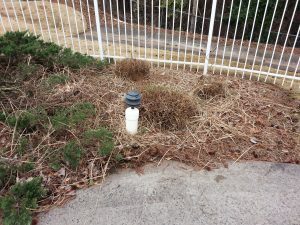 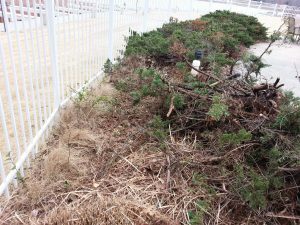 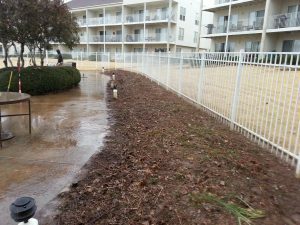 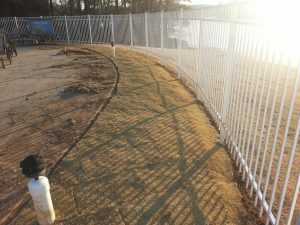 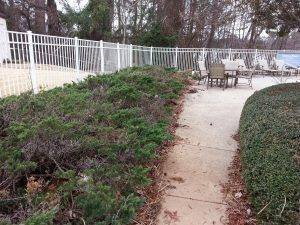 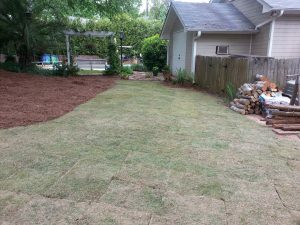 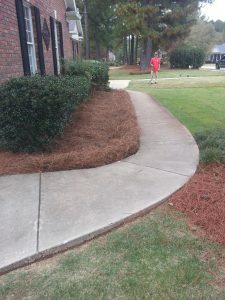 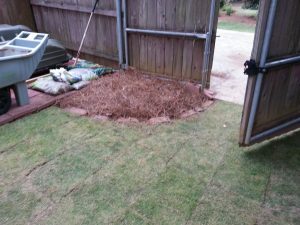 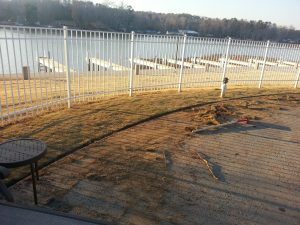 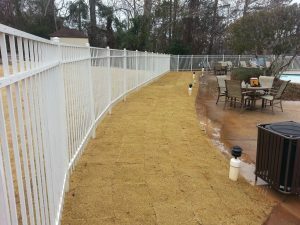 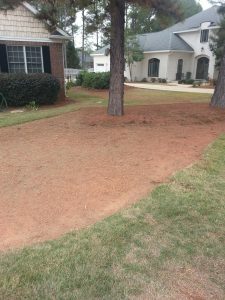 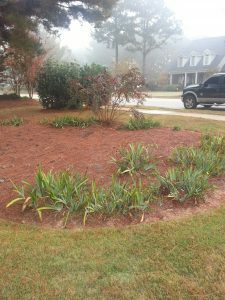 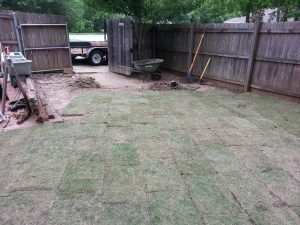 Damaged sod created a eye sore for these home owners at Lake Martin, so they called in Dalmatian lawn and landscape to handle this. 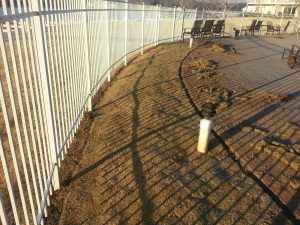 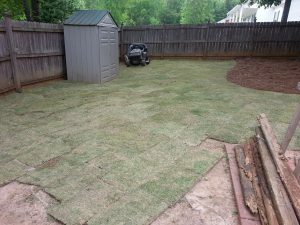 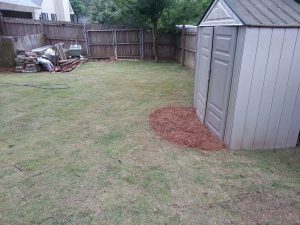 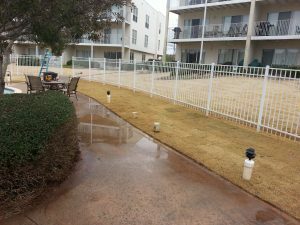 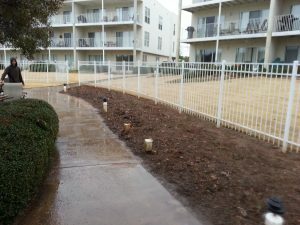 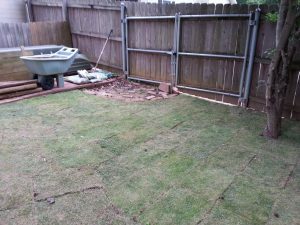 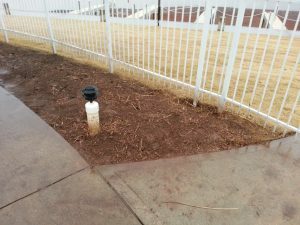 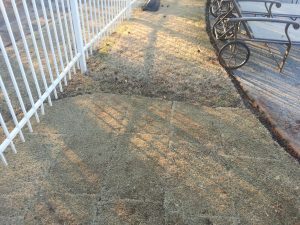 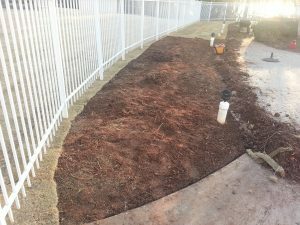 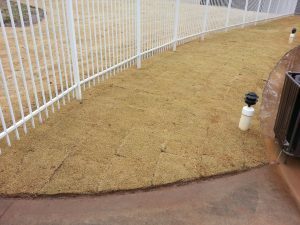 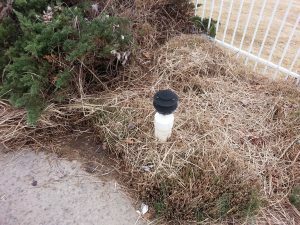 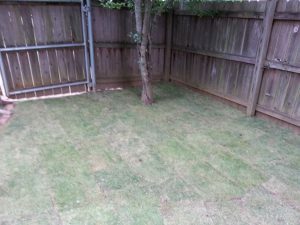 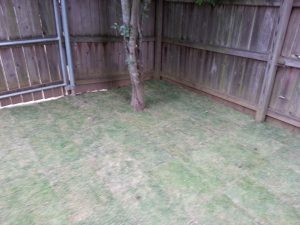 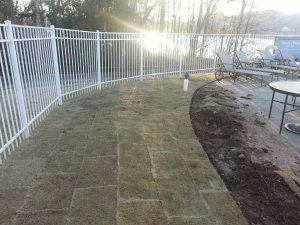 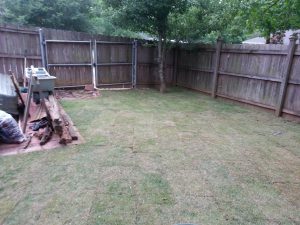 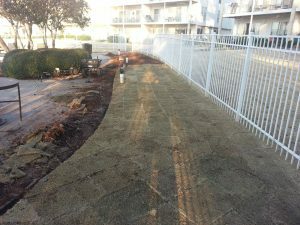 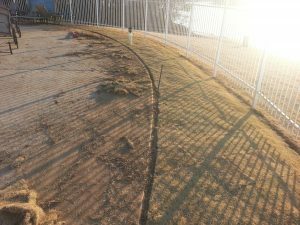 After damaged sod was removed and new sod was installed. 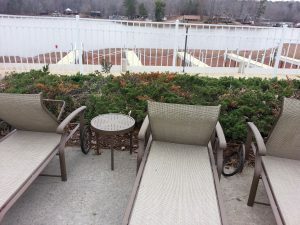 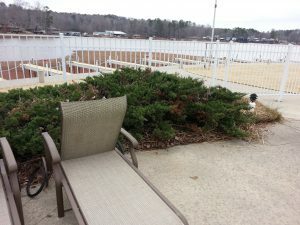 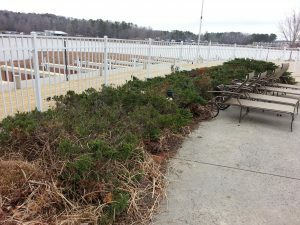 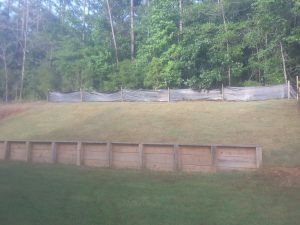 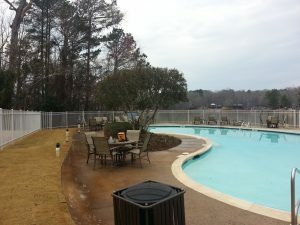 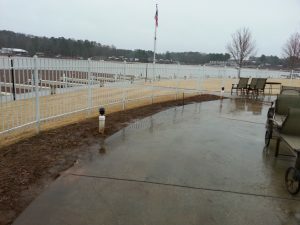 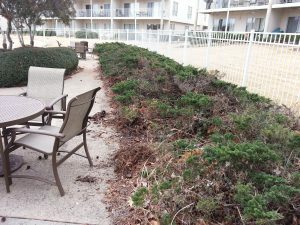 Before pictures of damaged and outdated shurbs that home owners at lake martin wanted removed and sod installed. 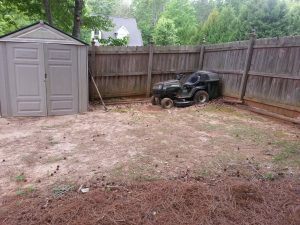 There was not a way to get to this area with anything bigger than a shovel and a small pull behind wagon. 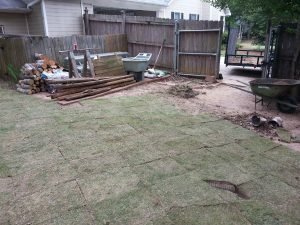 Let the ground prep begin for new sod. 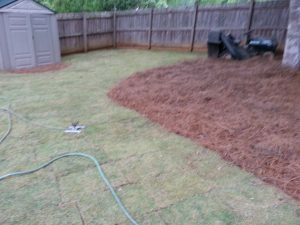 it rained on us the Majority of the time this project was underway. 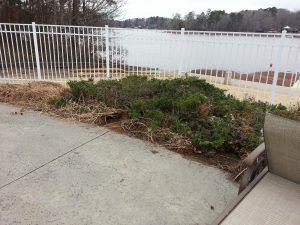 oh yea it took place in like February!! 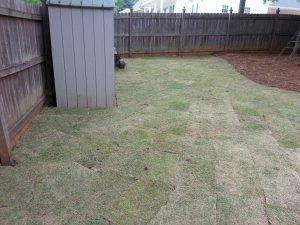 New sod installed made this lawn look totally different! 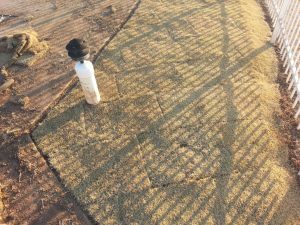 Sod being Installed outside Auburn.